The Bugle Head Screw is the perfect complement to the PowerHead Screws for installing cabinets. It has a T20 Torx head drive so when you are using Torx PowerHead Screws, it is the same bit for all your installation screws. In addition, it is 1-1/8" long which is the perfect size for joining two 3/4" cabinets. 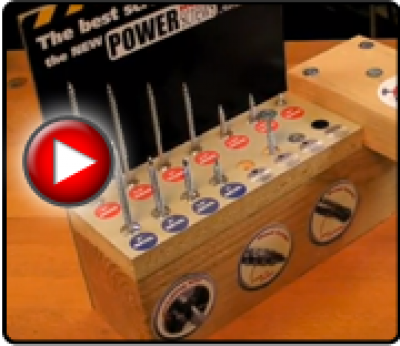 See the entire PowerHead Screw Family. What size screw is the bugle head screw? The bugle head screw is a #8 screw, with a 3/8" head.